This 12 part, six hour TV series is a faithful reenactment of the life and time of Jesus Christ. The show covers the birth of Jesus, his early life, his disciples, some of his major sermons and his crucifixion and resurrection. With a few exceptions, the cast was mostly made up of unknown b-movie actors. Robert Wilson played the role of Jesus Christ and he went on to play this role in other movies. Released in 1951, this TV show is noteworthy for being filmed in color. 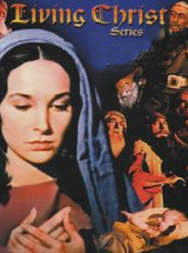 The low budget production aired once as a mini-series and from then on it was primarily only available to be seen in churches.